As regular readers of this blog probably have noticed, Eirenikon has hit a bit of a brick wall. Without going into too many details, I will say that there have been some serious changes to my state in life which make it very difficult for me to devote to Eirenikon the kind of attention it needs in order for it to stay afloat. In the past, I have asked a couple of regular commenters (known for both their erudition and irenic online demeanor) if they might be willing to become regular Eirenikon contributors or associate editors. Such individuals would have complete access “under the hood”, as it were, and be able to post daily news items, contribute original articles (something I have never really been very adept at), and moderate combox discussions. None of the good people I have asked so far felt as if they could or should serve in this capacity. Which is perfectly fine and understandable, since I know the kind of time and energy it takes to make an interesting blog. Nonetheless, I thought I might put the idea out there as a possibility for revitalizing Eirenikon. I would be curious to hear all of your opinions about this idea. I wish you all a happy and holy Lenten Fast! As foreseen yesterday, this morning the Pope accepted the retirement of Cardinal Lubomyr Husar as major-archbishop of Kiev and head of the 5 million-member Ukrainian Greek-Catholic church worldwide. With the departure of the 77 year-old hierarch on grounds of poor health, the leadership of the largest Eastern fold in communion with Rome is now up for grabs, and going into next month’s Synod to elect his successor, the stakes are high well beyond the ecclesial front. For starters, the choice of the UGCC’s 26th head will, in all likelihood, mark a generational shift at the church’s helm. Each tipped to receive serious consideration to succeed to the (de facto) patriarch’s chair, three of the body’s four metropolitans — the Synod’s most senior figures after Husar, all likewise elected by it to their current posts — are 60 or younger, two of them having spent their whole lives in the diaspora. In the meanwhile, the church’s second-ranking figure at home, Archeparch Ivor Vozniak, 58 — Husar’s onetime deputy in his former seat of Lviv — has been named the church’s temporary head pending the Synod of Election, which must convene within a month. Prior to his ascent, the now-retired cardinal was the lead aide to his predecessor, Cardinal Myroslav Lubachivsky, who led the church for 17 years until his death in 2001 at 86. Above all, though, the selection of the next major-archbishop will be watched with considerable attention far outside Ukrainian and Catholic circles alike for the decision’s potential impact on the delicate relationship between the Vatican and the Kremlin — a slowly warming rapport whose continued improvement ranks atop Benedict XVI’s religious and geopolitical priorities all around. For his part, Husar’s decade-long tenure has had its share of tensions with Ukraine’s predominant Orthodox church. The latter closely linked with the formidable Moscow patriarchate — that is, the ecumenical constituency to which Benedict has invested his most intense energies as Pope — the UGCC has long been accused of proselytism andinterference by its Orthodox counterparts, and the two groups havesparred over the construction of churches. Most recently, in one of his last major statements in office, the cardinal — invariably a fierce advocate of his church’s fullest standing in society — blasted an enhanced state recognition for the UOC (one of three Orthodox branches in Ukraine). In its relations with the Orthodox churches on post-Soviet turf, Rome has often found itself walking a delicate balance, and no more is that the case than in the sizable orbit of the Moscow patriarchate. Even as its diaspora grew and the leaders of the persecuted fold were arrested before being scattered in exile, the Vatican has maintained a half-century reluctance to accord the patriarchal dignity to the head of the Ukrainian church, inventing the designation of major-archbishop in 1963 after Paul VI was petitioned to elevate the fold’s then-head, Cardinal Joseph Slipyj, to the full status of an Eastern chief. While John Paul II naturally enjoyed a particular bond with the faithful just across the border from his Polish homeland, even he declined the step. And given Benedict’s priority on improving relations with Orthodoxy’s most hard-line branch, not only would the question seem even less likely to be broached in the current pontificate (at least, barring a sudden, epic detente with Moscow), but a realm of thought on this front has seen the reigning Pope as having given more emphasis to external relations than that of the churches within his own care. Whether this mindset reflexively plays out in the choice of a successor from Husar’s mould of an unstinting, battle-ready defense of the church’s prerogatives, as opposed to a more diplomatic figure, hangs as a key variable in the run-up to the Synod — one which, again, could have ramifications far beyond Kiev. Coincidentally, last week marked two years since Rome’s most significant recent triumph on the Orthodox front — the election of Metropolitan Kirill, the Russian church’s chief ecumenist, who became particularly well-regarded at the Holy See, as patriarch of Moscow following the death of the more strident Alexei II. To the degree that the Russian Synod was looking outside, its choice of the moderate, media-savvy dialogue chief was likely aided by the Vatican’s 2007 appointment of a more collaborative cleric — the Italian priest of Communion and Liberation Paolo Pezzi — as the capital’s Catholic archbishop, replacing a prelate whose departure the Orthodox had ardently sought. Though Kirill and Benedict have built a history of warm relations from the former’s prior assignment, to date, no meeting between a Roman pontiff and incumbent Russian patriarch has ever taken place… and to say that the historic encounter is high on B16’s “bucket list” reaches the realm of understatement. While the Moscow chief is thought to be just as personally disposed for the moment to happen, as patriarch, Kirill first has to assuage his hard-liners. And it’s likewise on Benedict’s radar that his hierarchs refrain from presenting any obstacles that would galvanize the significant resistance in both churches to better relations, largely thanks to the concessions each would have to make along the way. “The pope and the Patriarch of Moscow cannot reach an agreement on many other things,” the cardinal said. Still, the truth remains the Vatican’s prized path to Moscow could well be affected by what happens in Kiev. So on multiple points of the map, get ready for an interesting month. Many thanks to Fr Steven Tsichlis, Pastor of St Paul’s Greek Orthodox Church in Irvine, California, for sending a link to audio files from a recent conference entitled “Light of the East: Steps to Common Witness; Steps to Unity”. The keynote speakers were Fr Ronald Roberson CSP, Associate Director of Ecumenical Affairs for the United States Conference of Catholic Bishops and Fr Thomas Fitzgerald, Dean of Holy Cross Greek Orthodox School of Theology (Brookline, Mass.). Also in attendance were Gerasimos, Greek Orthodox Metropolitan of San Francisco, and Bishop Tod Brown of the Roman Catholic Diocese of Orange. There’s been encouraging — sometimes tantalizing — news in recent years about the growing potential for Catholic-Orthodox unification. Pope Benedict XVI is said to be viewed more favorably by the Orthodox than his predecessor. The Catholic Archbishop of Moscow exclaimed in 2009 that unity with the Orthodox could be achieved “within months.” And the North American Orthodox-Catholic Theological Consultation issued a document last October that envisions practical steps each Church can begin taking to begin the process of reunification. But Russian Orthodox Archbishop Hilarion Alfeyev is a lot more cautious about any predictions of imminent unity between East and West. Archbishop Hilarion heads the Moscow Patriarchate’s Department of External Church Relations, a position that was held by now-Patriarch Kirill before Patriarch Alexei died in 2008. At 44, Hilarion has experienced a meteoric rise in the hierarchy of the Orthodox Church. A brilliant theologian and author, he was elected bishop at age 35, has served as bishop of Vienna and head of the Representation of the Russian Orthodox Church to the European Institutions in Brussels. He is deeply involved in ecumenical dialogues with the Catholic Church and the Anglican Communion. He’s also an accomplished composer and is in New York for the U.S. English-language premiere of his St. Matthew Passion oratorio this evening. He also delivered the annual Father Alexander Schmemann lecture at St. Vladimir’s Orthodox Theological Seminary in Yonkers, N.Y., on Saturday, where he spoke about the meaning of icons in the Orthodox Church. Thanks to Father John Behr and Deborah Belonick of St. Vladimir’s, I was able to sit down with Archbishop Hilarion for a chat after the lecture. Here’s a transcript of our conversation. How important is Christian unity to the Orthodox Church? The notion of Christian unity is essentially linked to the last words of Jesus Christ, which he pronounced at the Last Supper and, notably, those which were addressed to his father, when he preached about the unity of his disciples. It is a tragedy that Christ’s disciples throughout the world were unable to preserve this unity and that many schisms and divisions arose in the Church, and the call to Christian unity is the ultimate goal of our exposure to inter-Christian activities and to various dialogues which we lead with the Roman Catholic Church and with other Christian traditions. So I think for an Orthodox Christian, it is essential to participate in inter-Christian exchanges in order to bring different Christian traditions closer to mutual understanding in order to overcome centuries of prejudices with the ultimate goal of the restoration of the full Eucharistic communion between various Christian denominations. Of course, the Orthodox and the Catholic are the closest ones. We have certain differences in dogma, certain differences in ecclesiology, but we have the same teaching on the apostolic succession of the hierarchy, on the sacraments and on the Church in general. Therefore, though there are obstacles to unity, they are, I believe, in no way insurmountable. I believe everything which Eastern Orthodoxy teaches. I am in communion with the Bishop of Rome as the first among the bishops, according to the limits recognized by the Holy Fathers of the East during the first millennium, before the separation. As far as I know there is no official translation of this letter. I don’t believe any of the published translations into English claim to convey fully the nuances of the sophisticated French. The 1998 translation mentioned above strived to be a literal rendering of the document. Along with this file of the original French text I am also making available a new English translation made with the help of a couple of friends. This translation does not claim any special merit but serves simply as a reference point for those researching this document. This newer translation is less literal and tries to render the French into more idiomatic English. Perhaps someday an official translation into English can be provided or someone might attempt a polished professional translation. 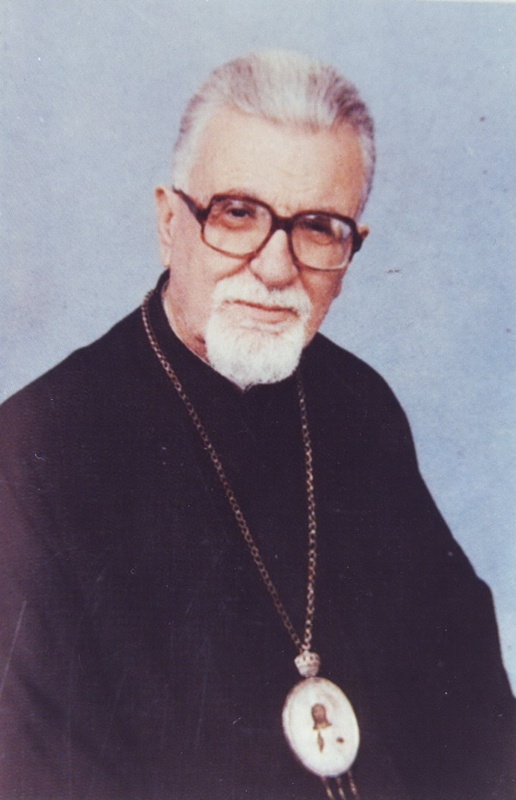 Further, this file also contains a 1997 article on this letter from Eastern Catholic Life, which contains a partial translation and summary of the letter by Bishop Nicholas Samra. Finally, some historical background is also appended to the file. This new file (original French text, new English translation, 1997 news article and background information) is in PDF format and can be downloaded here. The file is about 3.5 MB. Depending on your connection speed, it may take a bit to download. It might be best to right click on the link to download it directly to your computer instead of trying to read it online. 1. Prologue. 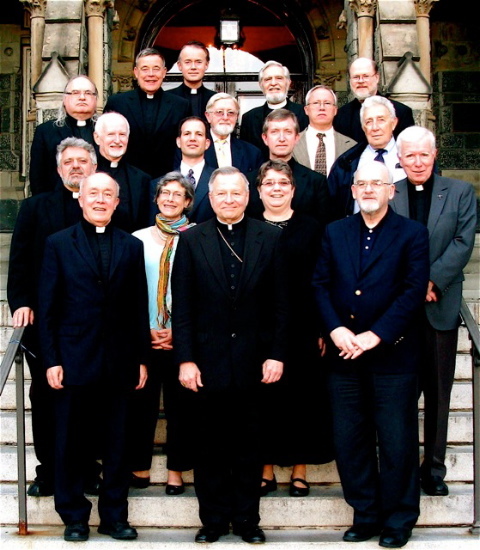 For almost forty-five years, the North American Orthodox-Catholic Theological Consultation has been meeting regularly to discuss some of the major pastoral and doctrinal issues that prevent our Churches from sharing a single life of faith, sacraments, and witness before the world. Our goal has been to pave the way towards sharing fully in Eucharistic communion through recognizing and accepting each other as integral parts of the Church founded by Jesus Christ. 2. A Central Point of Disagreement. In the course of our discussions, it has become increasingly clear to us that the most divisive element in our traditions has been a growing diversity, since the late patristic centuries, in the ways we understand the structure of the Church itself, particularly our understanding of the forms of headship that seem essential to the Church’s being at the local, regional and worldwide levels. At the heart of our differences stands the way each of our traditions understands the proper exercise of primacy in the leadership of the Church, both within the various regions of the Christian world and within Christianity as a whole. 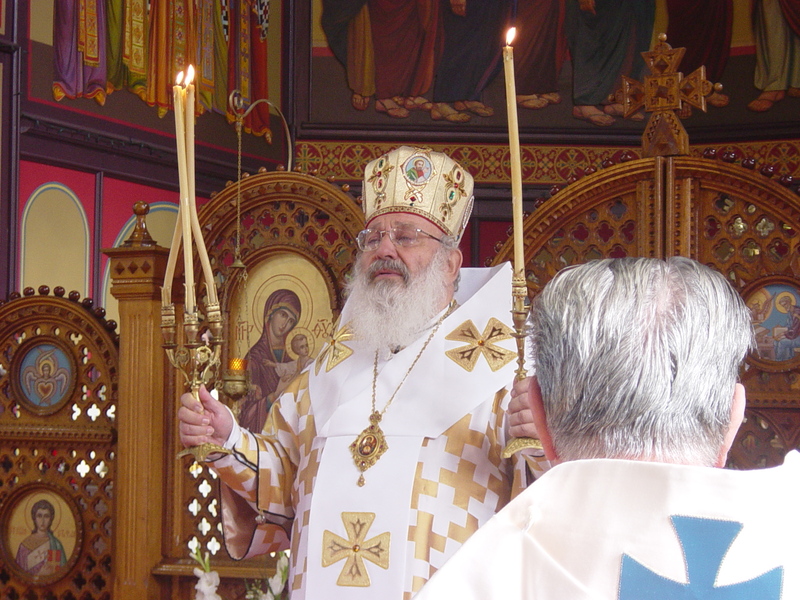 In order to be the Body of Christ in its fullness — to be both “Orthodox” and “Catholic” — does a local community, gathered to celebrate the Eucharist, have to be united with the other Churches that share the Apostolic faith, not only through Scripture, doctrine, and tradition, but also through common worldwide structures of authority — particularly through the practice of a universal synodality in union with the bishop of Rome? It seems to be no exaggeration, in fact, to say that the root obstacle preventing the Orthodox and Catholic Churches from growing steadily towards sacramental and practical unity has been, and continues to be, the role that the bishop of Rome plays in the worldwide Catholic communion. While for Catholics, maintaining communion in faith and sacraments with the bishop of Rome is considered a necessary criterion for being considered Church in the full sense, for Orthodox, as well as for Protestants, it is precisely the pope’s historic claims to authority in teaching and Church life that are most at variance with the image of the Church presented to us in the New Testament and in early Christian writings. In the carefully understated words of Pope John Paul II, “the Catholic Church’s conviction that in the ministry of the bishop of Rome she has preserved, in fidelity to the Apostolic Tradition and the faith of the Fathers, the visible sign and guarantor of unity, constitutes a difficulty for most other Christians, whose memory is marked by certain painful recollections” (Ut Unum Sint 88). … for the inactivity of Eirenikon! There has been no shortage of important news and other items relating to the unity of the Church; but unfortunately, I have been almost completely preoccupied with various other projects. I have also given some thought, during the hiatus, to the future of this blog. 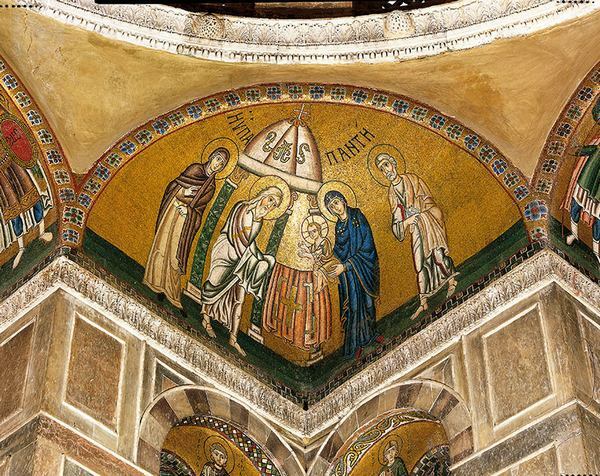 I started blogging on the topic of Orthodox-Catholic dialogue a little over four years ago, in January of 2007, beginning with this blog’s predecessor, Cathedra Unitatis. If I may display my heart on my sleeve for just a moment (something for which I was greatly criticized in the CU days), I feel as if I’ve grown a great deal – both intellectually and spiritually – over the past 4 years. At the same time, many of the same questions, concerns, and struggles I began with with are still very much with me. Well, enough about me for the time being; regular posting will resume soon. Thank you for your patience and continued readership. Please feel free to submit interesting items (links, news stories, even original essays) to me via e-mail: eirenikonblog (at) me (dot) com. A blessed Hypapante/Candlemass to all!